In November 2005, the International Mission Board of the Southern Baptist Convention passed two policies: 1) that missionaries desiring to be appointed by the IMB be baptized in a Southern Baptist church; and 2) that prospective missionaries be disqualified from service if they used a private prayer language. Wade Burleson, a trustee of the IMB at the time, questioned the policies. Were they necessary? Were they scripturally sound? Were they in line with the 2000 Baptist Faith & Message? While Wade Burleson’s Hardball Religion is the startling story of his three-year journey from Christian dissent to censure to resignation from the IMB, it is also an important record of another struggle within the SBC—the much more serious battle against the Fundamentalism that threatens to destroy the fabric of Southern Baptist cooperation. Hardball Religion is a call for Southern Baptists to see the importance of allowing many voices to be heard, voices who represent diverse positions on the issues, when some Southern Baptists are vigorously pushing to silence all dissent within the Convention. Wade Burleson and his wife, Rachelle, live in Enid, Oklahoma, where Wade has served as senior pastor of Emmanuel Baptist Church since 1992. Wade has held various denominational positions in the state of Oklahoma and the Southern Baptist Convention, including two terms as president of the Baptist General Convention of Oklahoma. Wade is the author of numerous articles and the book Happiness Doesn't Just Happen. He enjoys his family, golf, and the study of theology and history. In "Hardball Religion", Wade Burleson recounts the story of his involvement in, and how he was treated as a member of, the Board of Trustees of the International Mission Board; treated by those in positions of authority on the Board, as well as by fellow Trustees. His original differences with the Board concerned the "narrowing of parameters" for qualification as an IMB Missionary, and all the ramifications Burleson sees as flowing therefrom (i.e. : requiring re-baptizing of candidates whose baptism met their SBC churches' standards, but not the IMB's new standard, which Burleson sees as an infringement on the local churches' autonomy). The format of the book is the simple telling of his story, from the run-up to his appointment to the IMB BoT, through to the time following his censure and resignation. And, it is interspersed with observations as to other symptoms of, and the effects, in human terms, of the restrictive changes made by those in leadership positions of the institutions involved. One of those inclusions is the trail of events which, taken together, speak of an organized effort to oust IMB President Jerry Rankin; another is the concerted efforts to get rid of women in positions which some people, in positions of power, want to fill with men. CREDIBILITY: This, frankly, may be a hindrance to some folks who read this book. Those who oppose the "Landmark characteristics" of the new guidelines of the IMB, or who differ with the opinions of those identified as "B.I" people, will tend to agree with the story in toto; others will probably disagree with Burleson's more subjective observations, such as the motivations or intentions of those opposing his efforts, and what those people are trying to accomplish. As for me, I find his story credible. I say that for more than one reason. EXAMPLE: In Chapter 18, Burleson recounts his presentation of a particular motion at the Annual Convention in Greensboro, NC. His motion called for an ad hoc committee of the SBC itself (not just the IMB) to investigate certain practices at the IMB, and their BoT, including (among other things) practices in appointing trustees hand-picked to alter the directions of the involved organization. The Committee on the Order of Business simply referred his motion to the IMB, to investigate and report back next year (I said at the time, that was like asking the class bully if he's bullying people). As I recall, someone moved that Wade's motion be acted on by the convention as a whole, so it was scheduled for discussion in the evening session. By way of explanation, it's necessary to include herein the fact that I spoke to that motion. I told the convention that the allegations (narrowing parameters, "stacking" boards, etc) were so serious that, if the SBC itself didn't address them, and do it now, that we're apt to come back a year later and find that the Holy Spirit had departed (much as He did King Saul, who went right on being King, since he'd "learned how"). I said Burlesons's allegations were such that, if they were true, there was a BIG problem, and if NOT, there was still a BIG problem! The motion to bring it back out for a vote failed, and that was that. After the meeting, my wife Peggy and I went to the Convention Hotel; as we were approaching the door, someone shouted "Hey ... isn't he the guy that spoke up for Wade?" That was, in fact, IMB Trustee Bill Sutton, a pastor from McAllen, TX, prominently mentioned in the book. I told him yes, I'd addressed the motion, and he proceeded to lambaste Burleson in a manner I thought reprehensible for anyChristian, let alone a pastor!. And he divulged factual, behind-closed-doors information that he never should have said to a stranger from Alabama. During the encounter (Peg had fled inside the hotel, to pray), Burleson walked up behind Sutton. Although I'm sure he'd heard some of what Sutton had said, Burleson was completely friendly and irenic, putting his arm around Sutton and saying "We're going to get through this, brother..". Unfortunately, Sutton did not return the friendliness, that I could see, and in fact continued his attacks after Burleson had gone on into the hotel. That's necessary to explain, as it validates, for me, Burleson's statements about Sutton's actions (Sutton had even verified to me, what Burleson reports Sutton said to him in the hallway). And Burleson's demeanor in that personal encounter also leads me to believe that Burleson actually did conduct himself in a gracious courteous manner in dissenting, which he claims to have done. My thoughts are also supported by what I have seen and heard, from many of the friends I've made in the SBC, since my first involvement in 2006, at Greensboro. BOTTOM LINE: For me, the book is credible. Hence, the allegations are believable. READABILITY: It was an enjoyable read, almost like Burleson sitting there telling a story. I think readers will find it interesting, if only from the standpoint that surprising and outrageous behaviors .. especially for a bunch of religious folks .. seem to keep cropping up every few pages. I AGREE WITH BURLESON'S PREMISE .. about the narrowing of what it means to be a Southern Baptist. As a Baptist who holds to the doctrinal system described as "Calvinistic", and one who also has what's described as a "Prayer Language", efforts to achieve "extra-BFM" uniformity are objectionable to me. Burleson's ideas on principled dissent also seem correct and appropriate, to me. And I've personally talked to people whose lives have been affected, not to say devastated, by the trends and actions Burleson decries. IS THE BATTLE WORTH FIGHTING? Not mine to say. One of the cornerstones of my Calvinistic leanings is that I'm not responsible to bring about the results of my efforts: that's up to God. I'm not supposed to teach or witness based upon my estimation of whether those around me will learn or get saved. So I cannot deny the appropriateness of Burleson's actions, as described in the book. His seems a noble battle in these matters. HAS HIS ADDRESSING THESE ISSUES HAD AN EFFECT? This one's easy. Peg and I and another blogger were sitting at a restaurant at Riverwalk in San Antonio. during the 2007 SBC Convention. We were approached by two young people who called me by name; they'd recognized my picture from my blog, and had read it, as well as seen my comments on Burleson's blog. They were IMB missionaries, and said they wanted to thank us for what were were doing .. that we were, in our blogging, helping their cause! DO I THINK THE REFORMS HE SEEMS TO SEEK .. THE GOALS HE SEEMS TO PRESS TOWARD .. WILL HAPPEN? No, I don't think so. And for my reasons, consider some of what I see as some of his "money quotes". Page 19: "Sadly, many times the majority simply doesn't care about the integrity of its leaders". Page 57: "The Southern Baptist Convention needs and demands transparency, the free flow of information, the ability to dissent, and cooperation in the midst of differences on tertiary issues". Page 69: "I still cannot understand why the average Southern Baptist, not to mention pastors and leaders of the Southern Baptist Convention, are all remaining silent as they watch a small nucleus of Southern Baptists rotate from one trustee board to another -- all placed there by an oligarchy of Southern Baptist leaders led by Paige Patterson." Page 77: "If we're not careful, we are going to lose a younger generation of pastors that are disillusioned with the SBC because all they see is the continuing narrowing of the parameters of fellowship within our convention". Taken as a whole, therein lies the tale. The Convention needs openness and transparency, but the pastors in the pulpits, and the people in the pew, don't seem to care. So they deal with their own monsters where they are, and send their money off to Lottie and Annie and the CP, and "leave well enough alone". The younger generation? I don't think I have the time to count the ones who have checked out. So who's left to care? Read the book, and get acquainted with a few. Including a too-lonely pastor from Enid, OK.
Ethics Daily ran my latest article, which is entitled "Burleson Details Ethical Shortcomings at IMB." 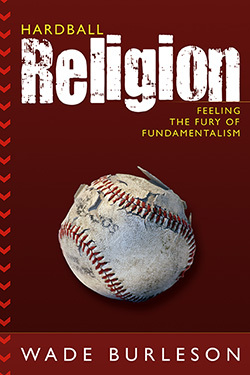 The piece reports on some of the findings and stories in the forthcoming book Hardball Religion: Feeling the Fury of Fundamentalism by Wade Burleson, a former trustee at the Southern Baptist Convention's International Mission Board. The piece notes five ethical problems that Burleson details in the book. Burleson's book is well written as Burleson tells the story of what he experienced during his controversial tenure as a trustee. Although much of the story is already known from his blog and other media accounts, he offers much more detail and names more people involved. There were several times I found myself stunned by what people were saying and doing. It is tragic that the conflict erupted to level of negativity that it did, but Burleson should be commended for being willing to stand by his principles even in the face of public and private attacks. This is a story that needs to be told because Christian organizations should be held to high standards and should be open and transparent. Although I am sure that many Southern Baptist leaders--especially those Burleson criticizes--will attack the book and refuse to consider his arguments, hopefully some will learn from this story in order to more appropriately and effectively lead ministries. Even for people not involved with Southern Baptist life, this book offers a cautionary tale about Christian ministry leaders and how they should and should not act. The forthcoming book by a former trustee of the Southern Baptist Convention’s International Mission Board exposes several ethical shortcomings in the management approach of IMB trustee leaders. Wade Burleson’s book, Hardball Religion: Feeling the Fury of Fundamentalism, covers his controversial tenure as an IMB trustee and will be released in April. 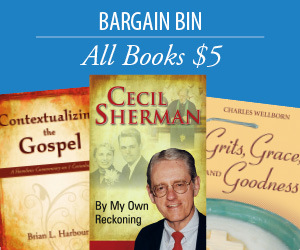 Much of Burleson’s story was made public on his and other blogs, numerous news reports from religious and mainstream publications, and during debates at annual meetings of the Southern Baptist Convention, but he adds greater detail in his book. Burleson names those he previously left anonymous and offers more description of how people acted and what they said during his attempt to prevent and repeal IMB policies with which he disagreed. Burleson’s primary concern in his book is what he sees as the attempt by fundamentalists to further “narrow the doctrinal parameters of fellowship and cooperation” within SBC life. In particular, he opposed new policies that require IMB missionary candidates to have been baptized in a church that teaches “eternal security” and to have avoided privately praying in tongues. Burleson critiques a lack of transparency, attempts to squash dissent, violations of rules, backroom politicking, and the usage of unsubstantiated personal attacks. These ethical lapses create a cautionary tale for Christian leaders on how not to run a ministry organization. One of Burleson’s primary targets in his book is the use of private trustee forums where the public is not allowed. Although such forums were not supposed to be used to conduct business, Burleson notes that the IMB trustee leadership used the forums to debate business matters and deal with policies and motions to silence his dissent. He argued that such private sessions should be rare and used only for security reasons. Another major argument Burleson offers is that dissent should be allowed within Southern Baptist life. He argued that IMB trustee leaders attempted to silence his dissent on certain policies and berated him for being a “rookie” trustee who dared to question the leadership. Burleson also details how trustee leaders violated the guidelines for trustee behavior even as they inaccurately accused him of doing so. He critiques the IMB trustee leadership for finding and screening trustee nominees to give to the SBC’s nominating committee, which is a violation of the SBC’s bylaws. Burleson also notes how trustee leaders met with a select group of trustees to discuss business and plan actions, which is a violation of the guidelines established for IMB trustees. Related to these bylaws violations of trustee leaders is Burleson’s complaint that politicking occurred outside of trustee meetings in order to affect board decisions. He recounts several such meetings that he noticed and offers details of what he heard people saying at these caucus gatherings. He also argues that other individuals, like Southwestern Baptist Theological Seminary President Paige Patterson, also worked to impact board actions. Burleson believes that part of the reason trustee leaders worked to remove him from the board is because he confronted them about the caucus meetings. Finally, Burleson accuses some IMB trustee of making unsubstantiated and ad hominem attacks against him and other individuals like IMB President Jerry Rankin. He explains that he repeatedly challenged critics to provide evidence for the claims against him but that they never did. Additionally, he writes about trustees who resorted to name-calling and “colorful descriptive language” to make personal attacks instead of responding to the issues. Although some critics will likely call Hardball Religion an “SBC-bashing book,” Burleson clearly maintains a desire to see the SBC prosper. He does, however, acknowledge, that he now doubts some of the claims he previously accepted, such as about the firing of IMB missionaries in 2003. As a result, he pledges to continue to fight to inform grassroots Southern Baptists whenever someone is being wrongly attacked in Southern Baptist life. As Burleson works to reform the SBC, it remains to be seen how many Southern Baptists will accept his advice and how many will instead, as Burleson once did, merely accept whatever the leadership may tell them. Yet even for contexts outside of the IMB or the SBC, the warnings in this story shed light on how unethical actions can harm and distract a ministry organization.